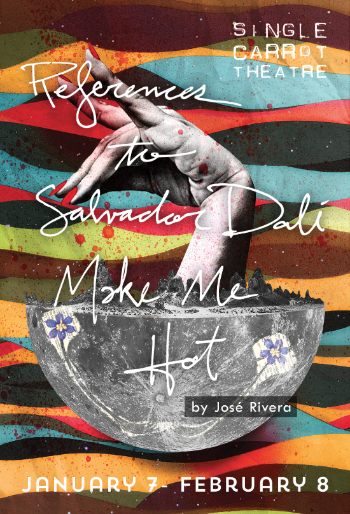 Visit the References to Salvador Dalí Make Me Hot page for a full cast list, special events, and more! At Single Carrot Theatre, an opening night is an event in itself. After the 7:30PM performance, the audience is welcome to stay for pizza, cava, and conversation with the artistic team responsible for bringing References to Salvador Dali to life. The celebration will include a toast and remarks from Genevieve de Mahy, SCT’s artistic director. Audience members are welcome to join us after the performance to talk with the actors about the process and the production of References to Salvador Dalí Make Me Hot. The members of the cast will talk about their experience, and answer any questions from the audience.